BREMERHAVEN, Germany, Nov 8 2017 (IPS) - Climate change is altering the ecosystem of our oceans, a big carbon sink and prime source of protein from fish. This is old news. Scientists say despite knowing enough about climate change, humankind is failing to turn the tide on climate change and the window of opportunity is fast closing. The sooner politicians listen to science, the faster can they commit to cutting global carbon emissions. Carbon emissions are increasing but our willingness to do something about them is not, scientists say. As global leaders gather for COP23 which opened this week, the need to raise global ambitions to cut carbon emissions and put the world on a cleaner, more sustainable path, has never been more urgent. Climate change projections point to increasing extreme weather, rising temperatures, droughts and floods. Seas and oceans – our biggest lungs – are warming and reaching a saturation point to absorb increased carbon dioxide in the atmosphere. Are the impacts of climate change witnessed now motivation enough for our politicians to do something about it? “Many of these changes are in line with what has been projected for climate change and there is a debate currently going on among governments that the ambition needs to be strengthened, but this is only an assumption and we do not know yet,” Hans-Otto Portner, Co-Chair of the IPCC’s Working Group II and Head of research section in Ecosystems Physiology at the Alfred Wegener Institute, told IPS. Portner expects the current round of the United Nations Framework Convention on Climate Change (UNFCCC) negotiations to show to what extent extreme events have changed the mentality of policy makers. Should we expect a radical shift in climate change positions at COP23? There is no shortage of political influence for more ambitious actions on reducing carbon emissions and addressing climate change. It is however, peppered with attention-grabbing deniers like US President Donald Trump, who has triggered the process for the US to exit the Paris Agreement. It is clear that the world knows enough about climate change than it did over the last century ago, but actions taken to date are insufficient, Portner said blaming the inertia on technological uncertainty. For, instance, he said the European car industry has taken a long time in establishing alternative engines despite many years of talk about electric vehicles. Under the climate change agreement reached in 2015, global leaders committed to lower carbon emissions and cap global temperature rise below 2 degrees Celsius to about pre-industrial level. They also pledged to ensure a lower 1.5 degrees of warming to keep the earth sustainable for life. Scientists worry that political ambitions are still weak. With the start of the 6th IPCC assessment cycle, pressure is on to validate the Paris Agreement at whose core is the world’s ability to adapt and reduce the impacts of climate change. Acknowledging that defining climate change thresholds remains a challenge, Portner said all countries need to reduce carbon dioxide emissions drastically in the middle of this century if Paris agreement targets are to be reached. 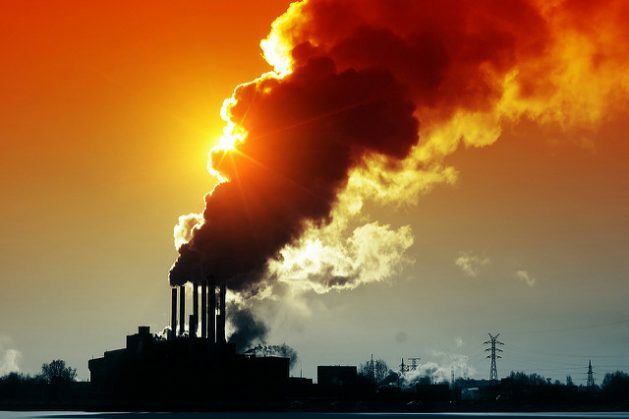 A recent report by the World Resources Institute (WRI), a Washington-based research group says more than 55 countries – accounting for 60 percent of global emission- have committed to peaking their emissions by 2030. While this is good, global emissions need to peak by 2020 to prevent dangerous warming levels, the report urged. Acting as a gigantic carbon sink, oceans take up about a third of the carbon dioxide released into the atmosphere by human activities. However, when absorbed by seawater, the greenhouse gas triggers chemical reactions, causing the ocean to acidify, scientists say. While on the one hand, the ocean’s CO2 uptake slows down global climate change on the other, this absorption affects the life and material cycles of the ocean and those who depend on it. The German Research network, Biological Impacts of Ocean Acidification (BIOACID) has just concluded an 8-year extensive research on ocean acidification involving a team of more than 250 scientists from 20 German institutions. The research indicates that ocean acidification, warming and other environmental condition are impairing ocean life and compromising ecosystems services provided by oceans. Ocean acidification reduces the ocean’s ability to store carbon and this threatens marine ecosystem that supports global fish stocks. Research by the GEOMAR Helmholtz Centre for Ocean Research in Kiel shows that ocean acidification and warming will affect the availability of fish and global fish stocks. Besides, over fishing is a global problem though it is unevenly distributed. Fish are the primary source of protein for one billion people globally, primarily in developing countries. The loss of coral reefs that provide habitat and coastal protection will affect aquaculture and fish harvests. But change is hard as it is slow. According to BIOACID in adopt a more sustainable lifestyle and economy, political influence is needed in regulating the phase out of fossil fuels. According to Felix Ekardt, Director of the Research Unit Sustainability and Climate Policy in Leipzi, fossil fuels are the main source of greenhouse gas emissions and air pollution, which a 2017 landmark study says kills 9 million people, more than those killed by war, AIDs, hunger and malaria combined. Arguing that shifting problems will not solve them, said ocean acidification and climate change are prime examples of truly global problems. BIOACID research calls for inducing a fast phase-out of fossil fuels as one of the options for effective ocean acidification policies. Gebru Jember Endalew, Chair of the Least Developed Countries (LDC) Group, calls COP23 a vital step to set a clear rulebook for the implementation of the Paris Agreement. He bemoaned that LDCs and other developing countries cannot take ambitious actions to address climate change or protect themselves against its impacts unless all countries outdo the pledges on the table. “As the 47 poorest countries in the world, the LDCs face the unique and unprecedented challenge of lifting our people out of poverty and achieving sustainable development without relying on fossil fuels,” Endalew said. What a fraud AGW is. What creeps you all are!